There is no scope of service that is foreign to St. Vincent de Paul. Our local St Vincent de Paul "Vincentians" are volunteers from our pastoral region who want to walk with you through this difficult time. If you are in a difficult situation and need some support, please call us at 937.538.8947. Your call will be returned within 24 hours. St. Vincent de Paul is a ministry that serves individuals or families who live within the boundaries of our pastoral region. This includes Fort Loramie School district, and most of Hardin Houston School District. Who are we? We are a devoted group of caring people who gather once a month to discuss the human needs of our local community, and how SVDP can assist in meeting those needs. Food Pantry is held on the 4th Saturday of the Month . 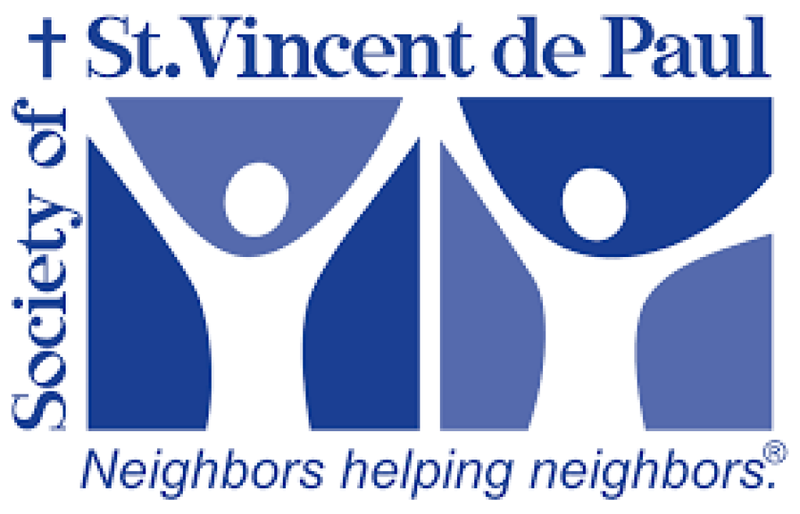 Individuals or families who need food immediately may call St Vincent de Paul. Someone will return your call wihtin 24 hours.